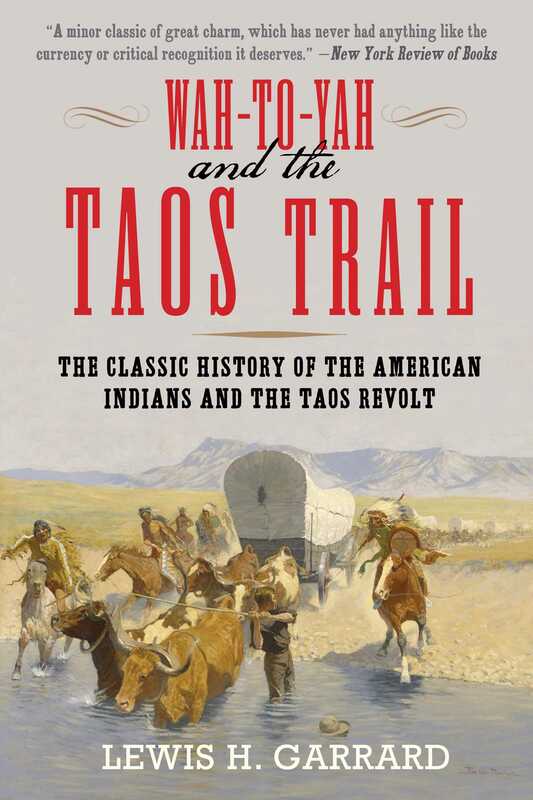 The classic account and history of the Taos Revolt and the Cheyenne Indians. On September 1, 1846, Garrard, then only seventeen years old, left Westport Landing (now Kansas City) with a caravan, under command of the famous trader Céran St. Vrain, bound for Bent’s Fort (Fort William) in the southeastern part of present-day Colorado. After a lengthy visit at the fort and in a camp of the Cheyenne Indians, early in 1847 he joined the little band of volunteers recruited by William Bent to avenge the death of his brother, Governor Charles Bent of Taos, killed in a bloody but brief Mexican and Indian uprising in that New Mexican pueblo. In fact, Garrard’s is the only eyewitness account we have of the trial and hanging of the revolutionaries” at Taos. Many notable figures of the plains and mountains dot his pages: traders St. Vrain and the Bents; mountain men John L. Hatcher, Jim Beckwourth, Lucien B. Maxwell, Kit Carson, and others; various soldiery traveling to and from the outposts of the Mexican War; and explorer and writer George F. Ruxton. "A minor classic of great charm, which has never had anything like the currency or critical recognition it deserves."